Gilles Aubry is a Swiss sound artist living in Berlin since 2002. Trained initially as a musician and composer, he graduated in 2010 as a Master student in Sound Studies at the University of the Arts in Berlin. His artistic practice is based on an auditory approach of the real informed by researches on cultural and historical aspects of sound production and reception. Combining ethnography, critical discourse and formal experiments, Aubry creates installations, performances, compositions, audio essays and radio plays. His sonic images (phonographies) of more or less identified situations stand as an attempt to challenge problematic aspects of visual representation. 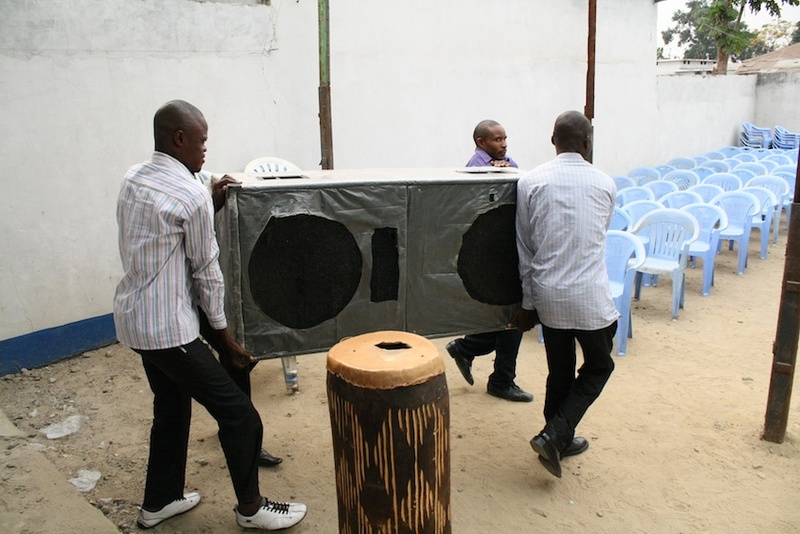 In 2011, Aubry has been a guest artist of the Global Prayers project, carrying an artistic research about the use of audio amplification technology by christian charismatic churches in Kinshasa and Berlin. The resulting installations Pluie de Feu and The Laman Encounter have been presented at NGBK Gallery in Berlin in 2011. Current activities include a research about the Paul Bowles' archive of Moroccan traditional music and the notion of cultural preservation, as well as a project related to the "Bollywood Soundscape" in Mumbai. Past exhibitions and performances include Kunstraum Kreuzberg/Bethanien, Berlin (2008), Les Complices* Gallery, Zürich (2009), Bat Yam Museum, Tel-Aviv (2009), TURA Festival, Perth (2009), Sonic Acts Festival, Amsterdam (2010), Issue Project Room, NYC (2010), Diapason Gallery, NYC (2010), Macba, Barcelona (2010), NGBK Berlin (2011), Musée Réattu, Arles (2011), Kontraste Festival, Krems (2011), Camera Austria, Graz (2012), HKW, Berlin (2012), Swiss Art Awards, Basel (2012) and Kunsthaus Langenthal (2012). Aubry is also a founding member of Berlin based experimental noise band MONNO and has released several CD's under his own name.